Fall brings with it a feeling of renewal, new life, and expansive energy. FALL represents a time of releasing and letting go. In the fall, we cleanse the lungs and the large intestine. Every organ is related to an emotion. The lungs represent grief and sadness while the large intestine represents guilt and regret. The lungs are vital when it comes to cleansing as you release so many toxins through your breath. The lungs are also necessary for the release of toxins through your skin. Plus, if the lungs are weak, the immune system suffers. If the large intestine (colon) is burdened with overgrowth of yeast, bacteria or pathogens, then toxins can recirculate and cause mucus build up in the intestinal wall. The buildup can affect every organ in your body and your overall health. By clearing out toxic waste in the colon, you can reduce rashes, acne, skin problems, and improve the quality of your health. Roughly 95% of your serotonin – the happy hormone – is manufactured in your intestines. A healthy intestine means a happy you. Replenish, Renew, and Revitalize your body? Identify the foods that make you feel sick and tired. 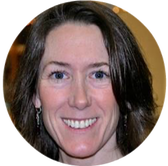 My name is Jane Marinelli and I’m a Certified Integrative Health Coach through the Institute for Integrative Nutrition. I created these Seasonal Detox Programs because I wasn’t feeling good. I was craving sugar all the time and when I got a hold of it, I couldn’t quit eating it. But my real turning point was when I took an 8-foot fall and hit my head in 2008. I had instant hearing loss and tinnitus. It was only many years later, after completing my health-coaching program that I began exploring food triggers that exacerbated my symptoms. Through completing an elimination diet (not really a “diet”) I discovered that I not only had more energy, lost a pound or two, released my sugar addiction, but I also had a lot less tinnitus and my hearing improved. So much so, that I don’t wear my hearing aid every day anymore!! Often, we eat foods that we think are healthy because the label tricks us, because the magazines say so and because the diet books say so. But I’m here to tell you that they are actually causing us embarrassing gas while on a steamy date, uncomfortable bloating while we try to squeeze into a slim dress, inflammation that can actually be painful and toxicity that makes us sluggish and sick. Quite frankly, these foods are actually posing harm to your body, not helping it. I know I’m FED UP, are you? Everyone seems to be confused about what to eat! Why stay stuck in information overwhelm when you can use one program that combines the elimination diet with detoxification tools, so you’ll finally know what’s right for you? You will be empowered, so you can improve your immune system in a safe and nourishing way. Are you ready to kiss frequent colds, headaches, sleepless nights, and the daily crash and burn goodbye? 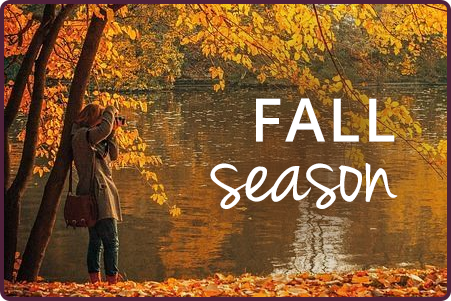 Using a Clean Eating Program in harmony with the seasons supports a healthy body for a lifetime, and you deserve a program loaded with all the recipes and step-by-step instructions you need to detox naturally – one you can use over and over again throughout the entire season to refresh and revitalize your body. Just want the Seasonal recipes? *To schedule your two 15-minute calls, please email jane@janemarinelli.com to book a date and time. **Please note that emails are sent out each morning to offer you support during your journey. If you use Gmail, you will need to check your Promotions folder for daily emails. Other email providers may also mark them as spam due to them having embedded images, please be sure to check just in case!! If you run into any trouble, please contact our tech support gal here. Are you looking for a program that will uncover hidden food sensitivities and allergies that are contributing to belly distress, headaches and weight gain? or the vending machine at 3pm? Imagine the results you crave from one simple easy to do program. A detox focuses on releasing the toxins your body takes in from your day-to-day interactions with metals, chemicals found in cleaning products, food, drink, and more. We are exposed to environmental toxins on a daily basis, it is out of our control. So we’re ditching the fasting, pills, and powders instead we are focusing on improving your digestion. You’ll only eat whole, seasonal foods that are designed to support your body’s natural processes of detoxification and cleansing. “This program is the best thing that’s ever happened to me! My version of eating healthy used to be diet soda, low-fat, store-bought dressings, baked potato chips instead of fried, and low-fat, sugar-free creamer in my coffee. It wasn’t because that’s what I wanted to do – it’s because that’s what the diet industry told me to do! So, what is this Clean Eating program all about? Join with a friend or two and increase the fun and support! ​**Please note that emails are sent out each morning to offer you support during your cleanse. If you use Gmail, you will need to check your Promotions folder for daily emails. Other email providers may also mark them as spam due to them having embedded images, please be sure to check just in case!! If you run into any trouble, please contact our tech support gal here.